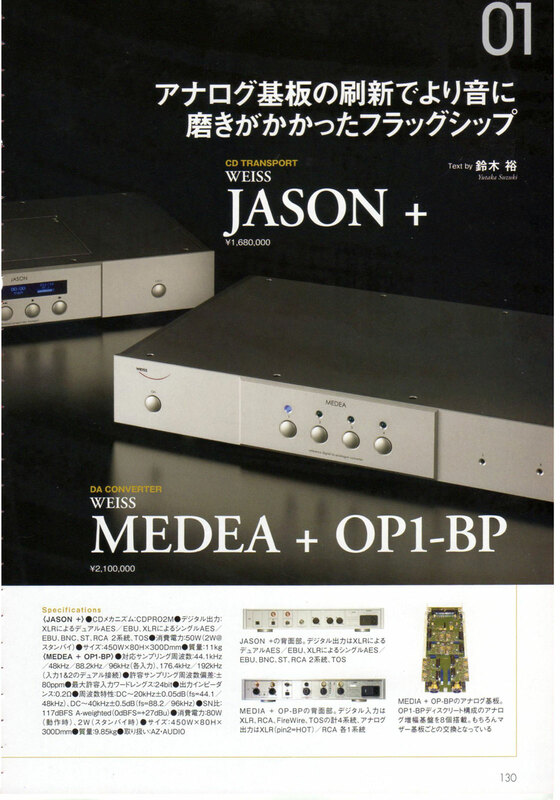 Audio Accessory#141 has written a great review for Weiss flagship Jason CD Transport and Medea+OP1BP DA combo. The added ability and sound quality has surpassed all previous generations. 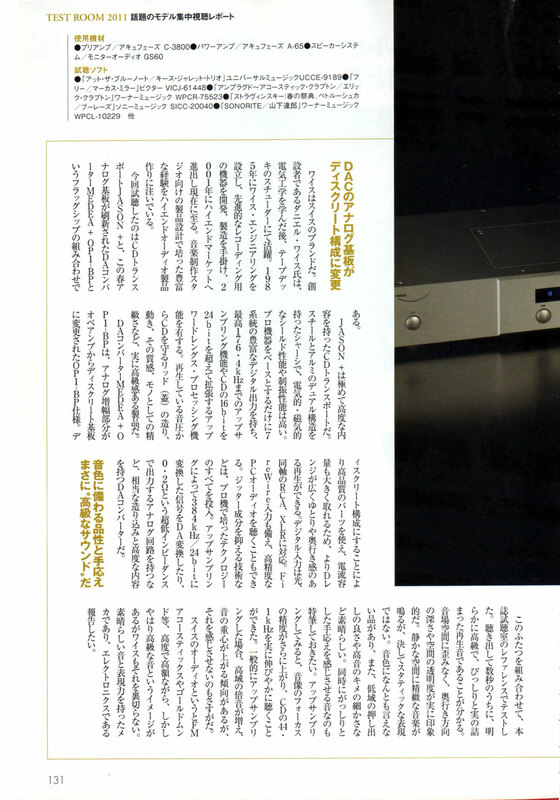 The review mentions this combo has the most transparent soundstage and neutral yet musical playback quality.